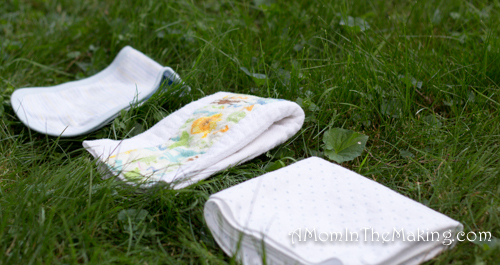 A Mom In The Making: Burp blankets... Stay clean with a spitting baby! I really don’t understand the concept of burp clothes... they are so tiny. 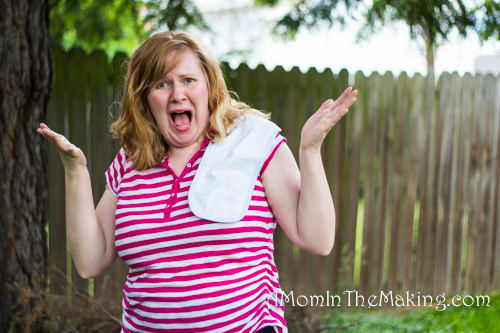 They cover a small part of your shoulder... then you encourage your child to spit up there... What really happens is the baby misses the burp cloth and you end up wearing their lunch! I know there are two types of babies... spitter and non-spitters... If your baby isn’t a spitter stop reading, rejoice! and go ready A DIY Mother’s lullaby... because that is fun for any mom. 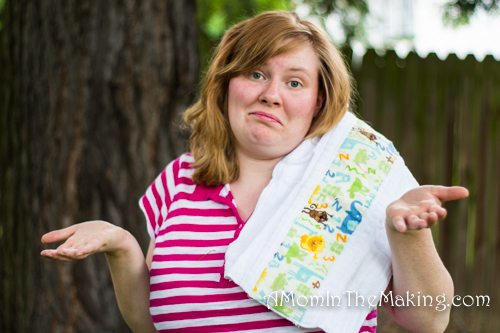 But if your baby does spit and leaves you doing more laundry than you ever imagined possible let me share a secret I discovered... Burp Blankets! The big flannel/cotton blankets that come in three packs are perfect! They are easy to wash, light to carry, and they crunch up about as small as a burp cloth if you really try. This way they shield your entire outfit. 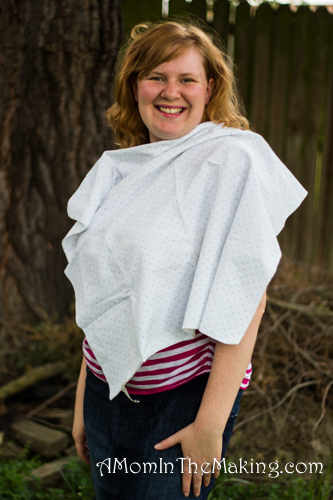 If you baby is a super splitter you can always throw traditional burp cloth on top as well... because traditional burp clothes are thicker for additional absorption. Being a working mother I wanted to snuggle with my baby during lunch, but didn’t always have time to redo my entire outfit. I also was dealing with babysitters who weren’t thrilled about smelling like sour milk all day. Burp blankets were incredible for me... Now that doesn’t mean I never got puked on... He still soaked though sometimes, or he’d catch me as I was reaching for one... But at least it helped. And for me even saving 1 outfit per day was a success! How do you deal with spitting babies? I have had kids of both varieties - a spitter and a non-spitter. I remember being on maternity and just giving up - my t-shirt was a burp cloth! I worked in a daycare for five years and quite often with infants. I quickly learned to burp them sitting up in my lap with one hand supporting their head and the other patting their back. This worked wonders for getting difficult babies to burp and also to avoid getting spit up on. I did this with my son and just tried to make sure there was a burp rag/towel/blanket on the floor. Worked wonderfully! Thanks for linking up with the Tuesday Baby link up. Hope to see you again this week.